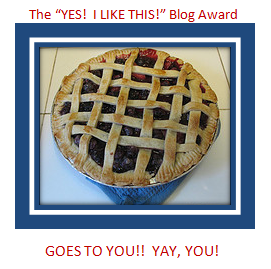 I must pass on my thanks for their praise and recognition of my blog to Re, Lisa and Ms.Sunshine who have all in recent weeks raised my profile with their readers by passing on a Blog Award. When I started blogging my aims were vague but I knew I wanted to connect with like-minded people across the world and I’m delighted that that has happened. With that in mind I’m happy to take the opportunity to mention those people below who I enjoy checking in with and hope you check them out too….and in the process, pass on the pie. Anna’s list is good. It’s here. So, I am to list 7 facts about myself that you might not know and then nominate my fave blogs and notifiy them that they are up for the award, and in the process encourage you, dear reader, to check them out in the hope that you can connect too. I am a Scorpio along with Neil Young (yeah), Grace Slick (yeah), Pablo Picasso (yeah), Joni Mitchell (yeah), Bonnie Raitt (yeah) and Joseph Goebbels (booo). 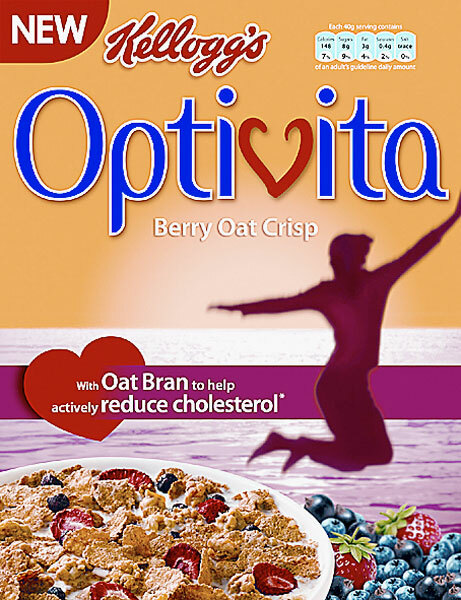 I’m a serial cereal eater. I read my book in bed wearing a Head Torch. I made up stories for my kids involving Super Chicken and Sponty the Champion Kite Flyer (it got them to dry the dishes ! ). I just love the original “West Side Story” …click, click. I cry rivers of eye juice when I laugh. 1 Krazy Memoirs…..Rajiv posts his thoughts from Kerala. 2. reddyzviewz ………..Narendra lives in Chennai, cricket nut and an interesting take on life. 3. Munira’s Bubble……. the everyday views of a wife and mother in Karachi. 4. You’ve been Hooked………we are the human race. The Hook watches us. 5. mystiquesunshine……….thoughtful rhymes just to lift you. 6. jaredblakedicroce………a hard working actor’s occasional postings on life in NYC in a tough business. 7. sparksinshadow….. Ré is another creative spirit. 8. markmywords……Mark writes from the WestMidlands in the UK. Always thoughtful and interesting stuff. 9. Jennifer Avventura……..lovely posts about life in Sardinia. 10. The Daily Cocca……Chris is prolific – has style -is well written – and a broad range of topics. Good stuff. 12. Count on Cross………..Kari’s site is always full of useful information on a range of stuff. 13. What Button did………..the occasional blog by the mum-to-be of my first grandson. Fun stuff from a creative vegetarian. Try the Sunday Dinner cake ! 14. Satsumabug………..recently found this art blog and it’s good. Open Mic Friday is a great idea. Try it. 15. mybusinessaddiction………….which is a funny title for a site that is “Mostly inspirational chit-chat starring the The Task Mistress”. ..and finally, not a WordPress site but worth checking out, Sufia’s Eye View. Sufia is a young professional lady in Karachi and tells it as it is. Interesting stuff and another point of view. Previous postSun, sangria and a dash of paint……..
Next postIs it art or a shower curtain? Though really, I’m SO MUCH more than a wife and mom y’know 😉 Being a bum takes work! I like this idea of promoting the blogs I like visiting…think I’ll pass on the award to all my favourite bloggers out there as well as check out your chums! Hey, just do what you do. That’s what I like about your blog so don’t change it. Just been and checked out the post I missed. See comment. High fives all round !!! I love your 7 Facts About You list– ahhh, the poetry of “West Side Story” — and now I’m curious about stories wonderful enough to get children to help with the dishes! Maybe one day you’ll treat us to one– with illustrations! I have hidden away somewhere a story book I wrote and drew about a Mr.Mole character who discovers a lost Mouse wandering in the woods. Maybe I’ll dig it out for old times sake (if I can find it). Hey! It’s the gift that just keeps giving! Thank you for the kind mention! I loved your list. Anyone who even mentions Joni Mitchell makes my heart go gong, and wow, and #5! !! Really? Um… you guys get all the fun. Now I’m going to click through your links… thanks again! Thank you, Al. Congratulations to everyone as well. Will visit everyone. I know I may not relate to all those Bloggers but hope to find few interesting blogs. Congrats! And thank you from the bottom of my bellmen heart! You’re welcome, Lisa. I hope you find something interesting. They are a whole a range !! Have a lovely Wednesday my friend..